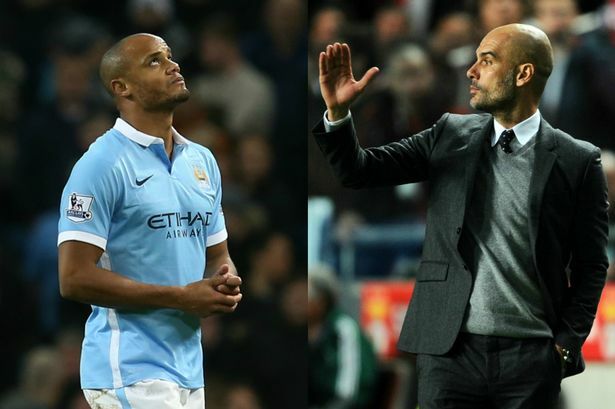 The boss man at Manchester City, Pep Guardiola has said that replacing Vincent Kompany at halftime in the game against Manchester United came on the heels of the player’s request that he should be changed. The game saw Manchester City defeated by Manchester United by a goal to nil. Kompany had complained that he was tired which had led to his change in the match. The 30 year old defender had made his second start this season in this match after coming off from a groin strain sometime in September. “He told us he is tired and was not ready to play the second half. The important thing is he is not injured – that is a good step.” Guardiola said. Recent seasons have seen Kompany struggle with shin and calf injuries but the captain of Guardiola’s side has promised to be entirely honest with the medical staff in respect to any injuries he sustains. Last season saw Kompany who also plays for Belgium at the International level, featured in just 25 games for both club and country. This was a huge fall from 38 games as of two seasons ago and 40 games in 2013-14 season. At the game against Manchester United where Kompany was substituted with Aleksandar Kolarov at half time, a goal by Juan Mata nine minutes after the end of half-time, saw Jose Mourinho’s men come off with the whole three lucky points from the game. The Red Devils would be meeting West Ham United in the quarter finals of the EFL competition. According to Mourinho, his four changes made for United’s visit to City came on the heels of their last Premier League game where they lost to Chelsea in a 4-0 thrashing. City however made nine changes.